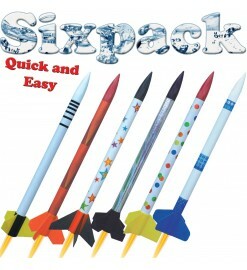 Rocket kits easy to assemble or almost ready to fly. They are ideal for groups of very young pupils or when there is no time to allow the glue to dry. 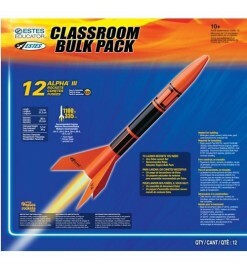 Quick assembling kits There are 3 products. 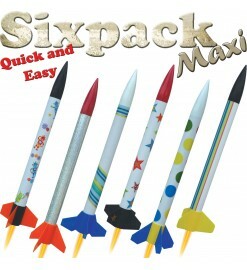 Box with parts to make six easy-to-build rockets of large size. Free your imagination with the ultimate in convenience!